Tuesday of Passion Week was a busy day. For Christians, it is primarily about the wisdom of Christ. Throughout the day, Pharisees and Sadducees came to Christ and attempted to discredit him. Christ responded with with a level of wisdom and insight that had never been seen before. In Christ, we find the wisdom of God. In Christ, we find the solution to all our perceived problems. Christ has the answers to every problem. Christ is the answer. For those who are interested, below is a synopsis of the day’s events with Scripture references. After spending the night in Bethany (Mk. 11:19), Jesus returned with His disciples to the Temple Mount on Tuesday morning (Mk. 20-26) and spent the day teaching and interacting with the Jewish religious leaders (Matthew 21:23-23:39). After his long day of teaching, Christ returned to Bethany for the night (Matthew 24-25). That night, Jesus foretells his death (Matthew 26:1, 2). Meanwhile in Jerusalem, the Jewish religious leaders have united in a plot to kill Jesus (Matthew 26:3-5; Luke 22:1-2). 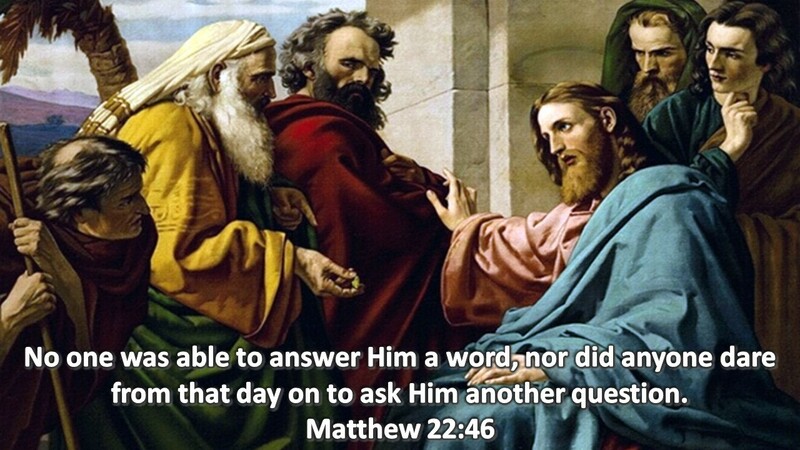 While they are meeting, Judas arrives and offers to betray Christ to the leaders (Matthew 26:14-16; Luke 22:3-6).